Did you ever notice the cute containers that herbal teas come in? They make a perfect gift almost already on their own but when you add a cute saying with a sweet little tag it becomes a special little hostess or teacher gift or just pass around to your neighbors. 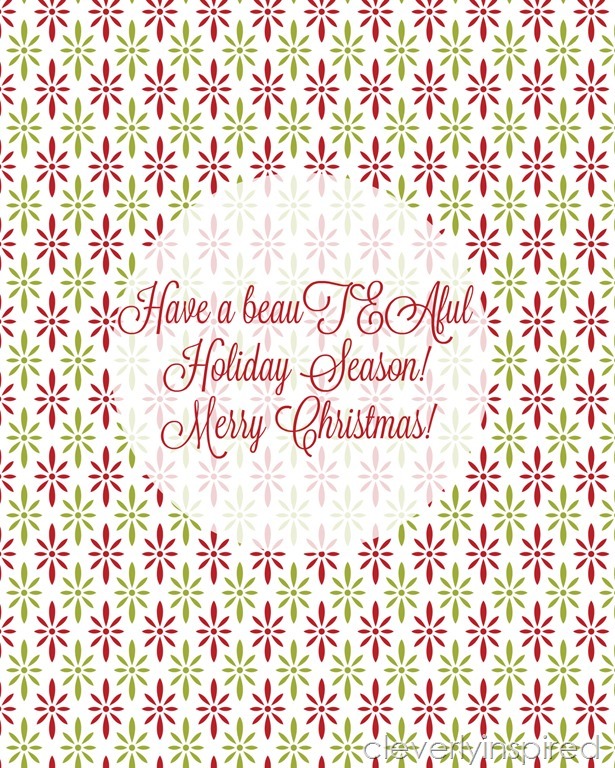 I made a printable for you to print out and wrap around these round containers for a cute tea gift idea. Make up a couple of days this week and just put them by your door so you have something quick to grab on your way out to holiday classroom parties and get together. Low cost big impact always wins! Happy holidays you all! I hope you can stop by Cleverlyinspired to see what I’ve been up to lately. I would love to chat with you soon. Thanks Tracie! What a smart and easy gift idea! And, it’s so cute too! She has this smart idea for Quiche in a Cup! And she has this yummy recipe for Choco-Caramel Cookie Crisp that would be great for a cookie exchange! And this Thanksgiving Cheese Ball is so easy to throw together at the last minute! 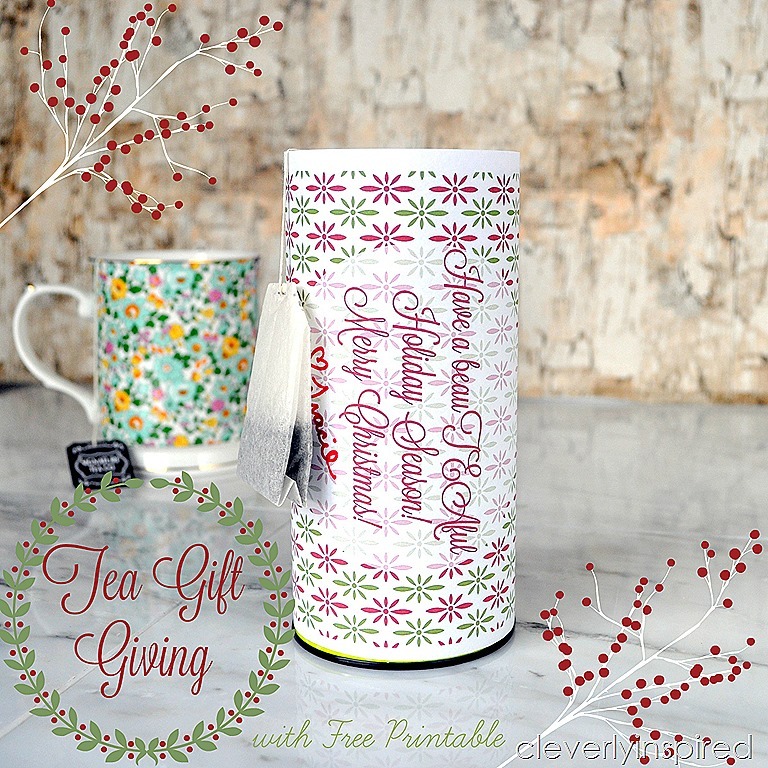 This tea gift idea is truly great! My friends would love to have this for sure so I will start making some for the coming holiday season.